Rates Will Be Available soon.Try a different date or get in touch with us! Morgado golf course the new home of the Portuguese Open, part of the European Tour tournaments Set in a valley in the inner Algarve, between Portimão and Monchique. 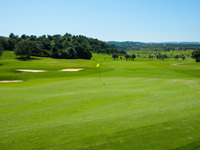 Morgado golf course is equally challenge for those taking their first steps in golf as for the more experienced golf player, who would like to test his technique. The scorecard shows a PAR 73, but Morgado golf course path length is attenuated by the generous width of fairways. However, less accurate strokes may be penalized by the action of one of several bunkers spread across the golf course. 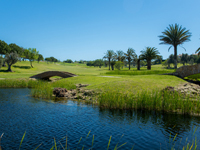 We can say that Morgado golf course is a golf course with the characteristics of a links - with flat fairways and Scottish inspiration bunkers - but instead of being close to the shore as traditional links, it is inserted into an area of Algarve parkland. 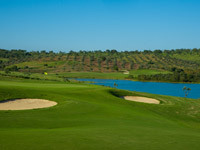 Surrounded by the region traditional tree species, the player who visits Morgado golf course contacts with a different Algarve, calm and serene, providing the perfect setting for a memorable golf round. Golf Notes: Minimum 2 Players (paired groups / shared buggy included).